In yesterday's post, I discussed the difference between the rationalist and mystical worldviews regarding davenning for someone. In today's post, I would like to review a similar topic. 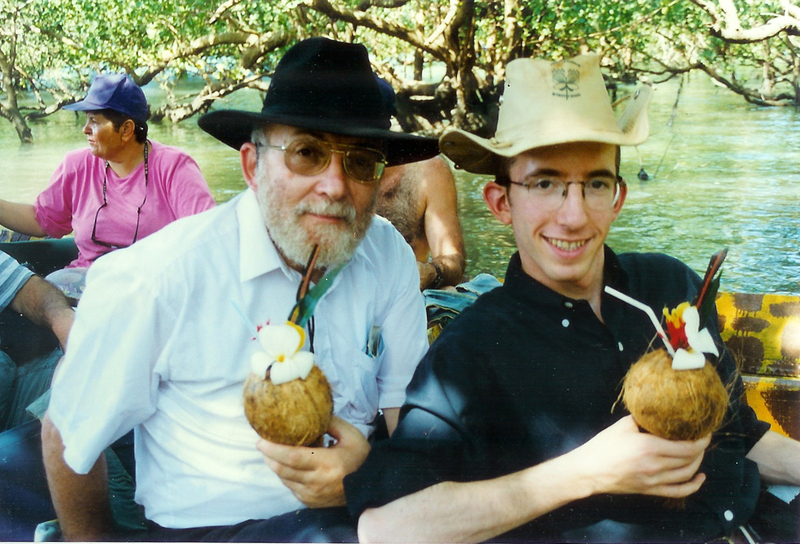 Today is the eleventh yahrzeit of my father, Professor Michael Slifkin, of blessed memory. He was a wonderfully patient and good-natured father, a brilliant scientist, and a man of outstanding integrity. In a career spanning biochemistry, physics, electronics, membrane biology, and nanoparticles (among other things), he published 197 papers, including 11 in the prestigious journal Nature. He never missed a minyan and walked to Daf Yomi every day. He strongly believed in doing the right thing even if it made him unpopular, such as when he voted according to his conscience and not according to what was "the done thing" in England, or when he took on the position of safety officer for university labs and actually enforced safety regulations, much to the horror of his colleagues. He also had a terrific sense of humor! Just like last year, due to a scheduling conflict with one of my siblings who is out of the country, a shiur that I am giving in his honor for family is not being delivered on the actual date of his yahrzeit. In case you didn't read last year's post, I mentioned then how someone near and dear to me objected that since it's not being done on the actual date of the yahrzeit, "It won't have the proper effect for his neshamah!" This is, I believe, a terrific example of the difference between the rationalist and mystical worldviews. According to the mystical worldview, our actions serve to manipulate various metaphysical energies. If they are not done in exactly the "right" way, then they don't have any effect. According to the rationalist worldview, on the other hand, our actions are not manipulating any metaphysical energies. The date of a person's passing is a meaningful and appropriate time to honor their memory. If it's done a few days late, in order to better accommodate the family, that honors their memory more, not less. Dad, I love you dearly, and I miss you more than ever. I'm sure you would understand why we are doing the shiur a few days late. Because among the many good qualities that you taught me, one of them was common sense! I mentioned then how someone near and dear to me objected that since it's not being done on the actual date of the yahrzeit, "It won't have the proper effect for his neshamah!" One thing I never got clear. Mother Slifkin is not a rationalist, Father Slifkin is a rationalist. What is Mrs Slifkin a rationalist or non-rationalist ? Maimonides knew where women belonged and understood the nature of marriage. The benevolent dictatorship. but rationalist dr slifkin says Maimonides was a product of his time and culture. Ummm, Maimonides clearly states that his opinion was NOT a product of his times, rather a commandment of the chachomim and the Jewish way, not that of the non jews. We all think that the way we do things is the way it's always been done (or at least the way it was always done in the old times when things were done right). What we think is not the issue. The issue is what did Maimonides mean with the words צוו חכמים. That does not look like a personal opinion, or a societal norm. He also seems to be saying that non Jews do not act like this. where does Maimonides say she has to have the same political opinions has her husbad or even the same hashkofos. ? What else does that mean? She goes in his ways, she follows the path that he sets. I am not saying that this is the final halacha. But Maimonides should be allowed to talk for himself. He should not be censored by people following mores and trends that he categorically rejected. The Rambam says that the sun is serving Hashem by doing its job of rising in the morning and setting at night. It has free choice and chooses to do its job with exactitude. The cycle of the sun is responsible for much of the good in the world, from growing plants to seasons, health and mood of humans and animals alike. The connection between the service of Hashem of one and the benefit of another is clear. That sun is just sitting there, not moving a bit. It's not rising and setting and doesn't have a mind of its own. It's just a big gassy star. A beautiful tribute. Although a little harder on non-rationalists than necessary. But that's not the point, your father's sensibility is. And that shines through. May my children and grandchildren say similar things about me.... a very long time from now! I do remember stumbling across some of your father's papers a number of years ago (I work in an adjacent field). I recognized the name. Very nice work. While I respect your opinions, I think your bifurcation of the Jewish world into rationalist and mystical is oversimplified. You consistently overlook the possibility that both aspects can be true. I'm all ears. If you have what to say, say it, develop it. Don't use other people's blogs as free advertising for yours. It's lame. I must agree with Raffi: Dividing Judaism into rational and mystical is oversimplified. Rabbi Aryeh Kaplan (of blessed memory, may his merit shield us) was an Orthodox Rabbi who mastered Talmud and Kabbalah and was also a brilliant scientist whose name was listed in: THE WHO’S WHO OF AMERICAN PHYSICS. He wrote 60 books about Torah topics in his short lifetime. He saw harmony between the rational and mystical, where other people, who were less than him intellectually, only saw contradictions. The fundamental issue you overlook is this: the inability, of impossibility, of distinguishing between law and custom. You say it doesn't make a difference if the funeral is a few days off, its honoring the memory that counts. All right then. So what difference does it make if I go to the shul on the Sabbath or the beach - its refraining from work that counts. And of course, that's one little example out of literally thousands. Not that I'm disagreeing with your overall programme, which is good and healthy. Point is, its not always about the basic two divides of Man that you call rationalists and mystics (other people have other names.) There are other factors at play. I really don't understand your comparison. As far as observing Shabbos, one can do so while in Shul, and one can do so while at the beach (just don't go in the water and risk an issue of Schita). According to RNS's rationalist perspective of "its what the person would want", someone who feels more spiritual at the beach on Shabbos than at the shul, should go to the former. But its not. By any halachic perspective, going to the beach would be a desecration of the law, regardless of what he thinks. 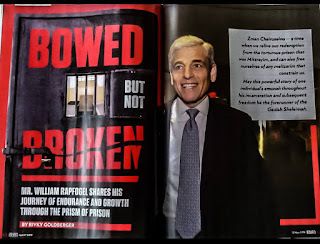 In other words, since it is ultimately impossible for most to distinguish law from halacha, RNS's rationalist perspective leads directly towards Reform. It is this calculus - and nothing to do with rationalism or mysticism - that causes so many orthodox Jews to act the way they do. DF that is probably the silliest comment ever posted here. There is no halacha that one has to give a commemorative shiur on the yahrzeit and not on a different day! Perhaps the "right" timing for the shiur is optimal in some sense but all other timing, especially close to the right time, still does very good things. According to the mystical worldview, our actions serve to manipulate various metaphysical energies. If they are not done in exactly the "right" way, then they don't have any effect. is this evidence from the Gemarah that the spiritual forces in force erev shovuos, apply every year.? R. Mattisyahu S. thinks it is. Chachamim decreed not to let blood on any Erev Yom Tov on account of Erev Shavu'os, for then blows a wind called Tavu'ach which would have slaughtered everyone had Yisrael not accepted the Torah (and it is dangerous for one who let blood).